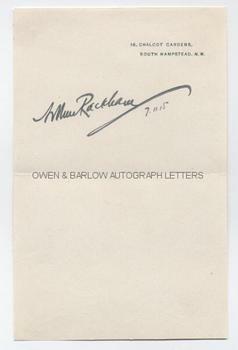 Good full autograph signature on his 18 Chalcot Gardens, South Hampstead letter headed paper and dated in his hand 9th September 1915. 8vo. Approx 7 x 4.5 inches. Mounting traces to top edge of verso, else fine.